Transporting glassware back and forth between the dish wash area and bar is often unfeasible in many bars, and certain delicate glasses have to be washed by hand anyway which is why most bars have areas where bartenders can hand wash their own glassware. This 3 brush manual upwright glass washer is an essential tool for any such area. 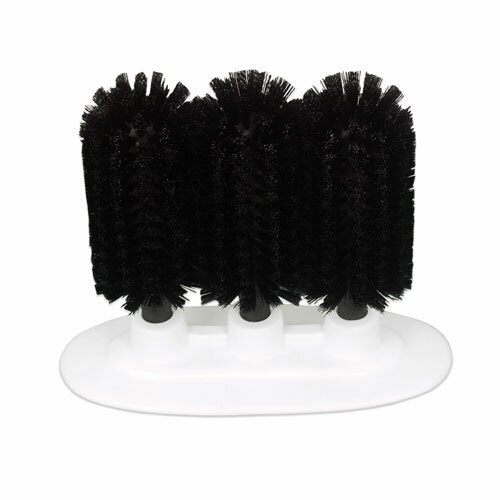 It also glass washer features three durable, polyester brushes and a suction-grip base for an incredibly stable platform while washing.